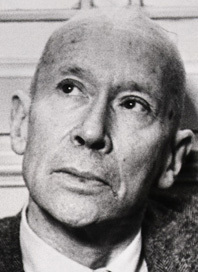 E. E. Cummings (1894–1962) was among the most influential, widely read, and revered modernist poets. He was also a playwright, a painter, and a writer of prose. Born in Cambridge, Massachusetts, he studied at Harvard University and, during World War I, served with an ambulance corps in France. He spent three months in a French detention camp and subsequently wrote The Enormous Room, a highly acclaimed criticism of World War I. After the war, Cummings returned to the States and published his first collection of poetry, Tulips & Chimneys, which was characterized by his innovative style: pushing the boundaries of language and form while discussing love, nature, and war with sensuousness and glee. He spent the rest of his life painting, writing poetry, and enjoying widespread popularity and success.